The Hurley Phantom Hyperweave Boardshorts are made for endless comfort in the water, delivering an adaptive fit that won't slow you down. COMFORT MADE FOR THE WATER. The Hurley Phantom Hyperweave Boardshorts are made for endless comfort in the water, delivering an adaptive fit that won&apos;t slow you down. Hyperweave waistband provides a secure fit. Quick-drying, 4-way stretch Phantom fabric is light and comfortable. 46cm length lets you move freely. Free standard delivery on orders over $100. Standard deliveries arrive in 4–12 days; we deliver 5 days a week. 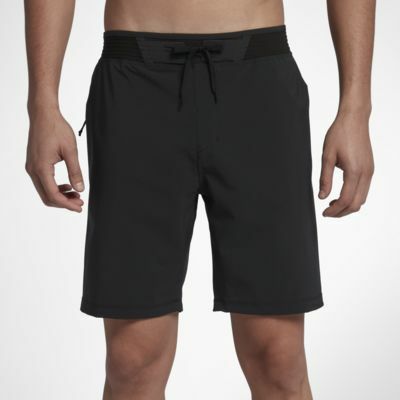 I own 3 pairs of theses shorts the fit and duability are awesome! Love the shorts.